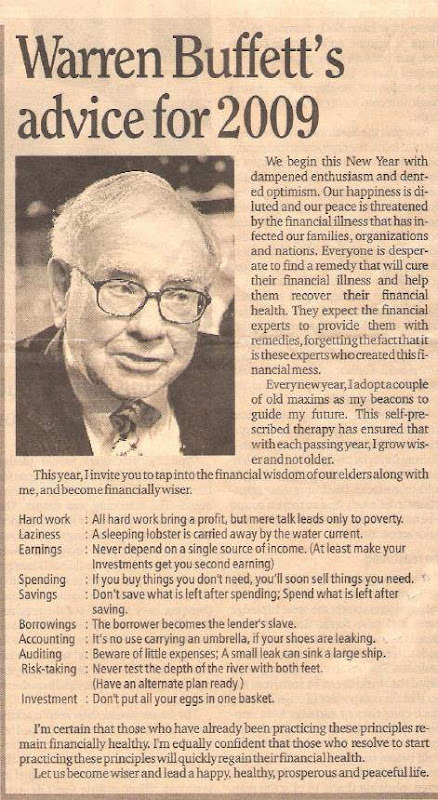 Advices worth registering……...By Warren Edward Buffet ….An American Investor, Businessman and Philanthropist. He is one of the world's most successful investors and the largest shareholder and CEO of Berkshire Hathaway. He was ranked by Forbes as the richest person in the world during the first half of 2008.